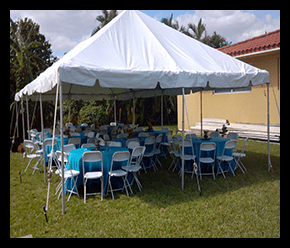 Our Tent Rental Miami at the tip of your fingertips here at Adventureland Party Rental. We got small and big tents for rent. Need a clear tent we got you covered! Our selection starts with the 10′ x 10′ for only $85, call now to rent it! 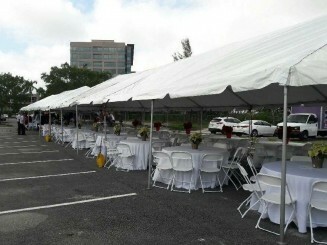 But if you are looking for bigger tents you can order the 40′ x 100′ this is ideal for corporate events and big weddings. There is plenty of tents to choose from in between take a look. 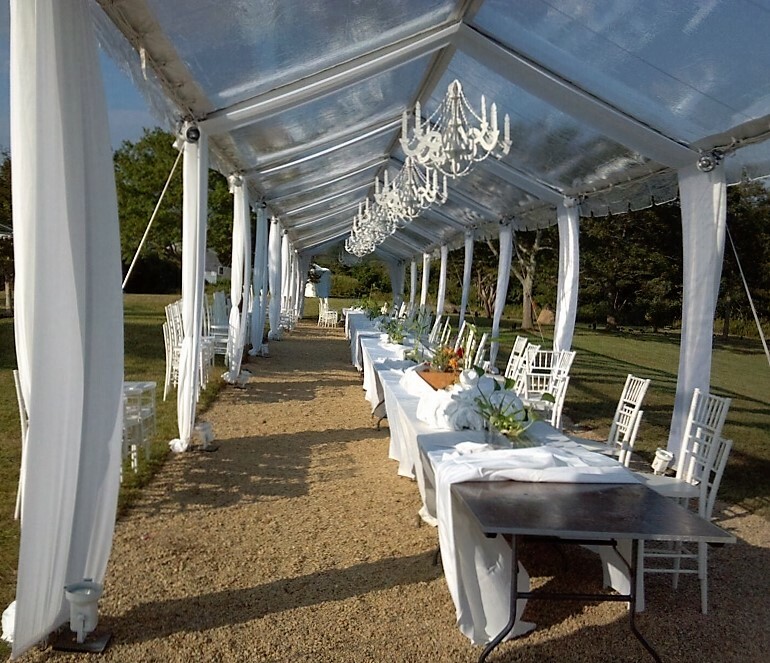 For that classy stylish look, we offer you our clear tents. 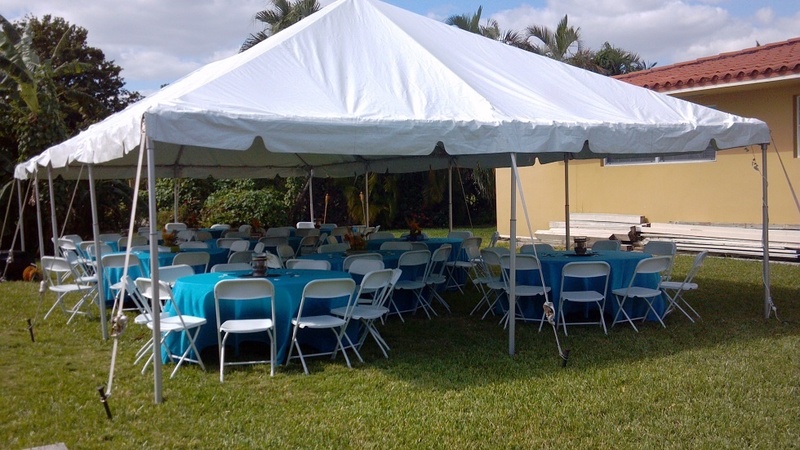 These tents are great for weddings and other very special events. 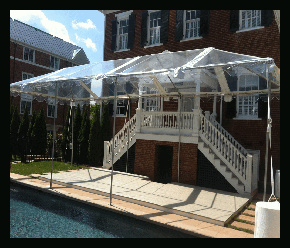 Reach out to us today to find out more about these special tents. 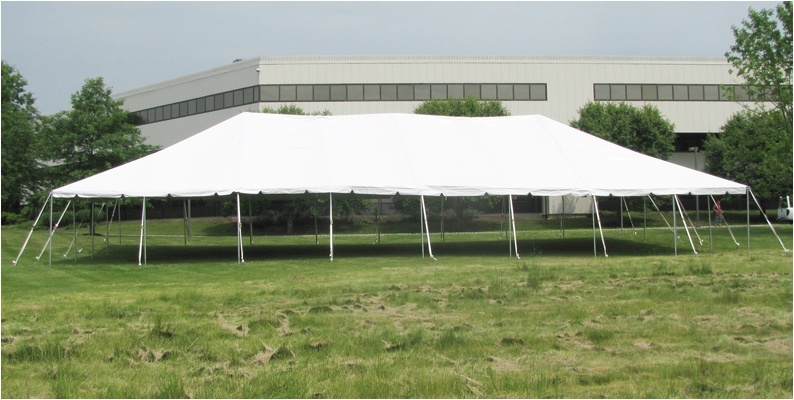 General information about the right size of a tent for your special event. You need to know the number of guests that are going to be at the party. After you know that take a look at our chart and choose wisely. You can also go to easycalculation.com to get a more detail size tent. Money Saving tips when renting a tent. Try skipping the liner, they are gorgeous but can cost almost or more than a tent sometimes. 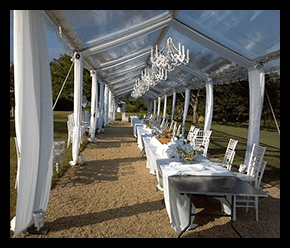 Opt for pole tents instead of frame tents this is less costly. Do not get flooring if not needed, you might just get it for the dance floor area if needed. You can opt. for a less expensive venue if you have to get a tent, just make sure you calculate and compare. We here at Adventure are glad to answer any tent question you might have just give us a quick call and our friendly staff will answer your question. 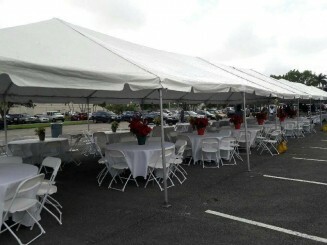 Remember that besides price the other most important detail is the company that you hire for your tent. Will you get an old dirty tent, are they going to be on time? We make sure your event will go smoothly and in a timely manner. Tents are temporary structures that don’t tolerate serious climate conditions or give protection in an emergency crisis. They aren’t designed to guard people in a bad climate, in particular, storms, lightning, and serious winds. 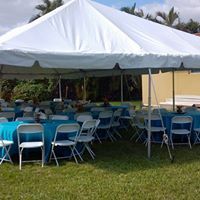 If you have questions that arise about the stability of the tent and the safety of all guests, consult the tent rental service staff for quick tips. Extreme climate can develop without warning. In a crisis, there is often many measures of confusion and the circumstance can end up terrible. To help guarantee the safety of all guest, have a plan. You need a safety plan in case of extreme weather. As a result, actualized your evacuation design if there is any uncertainty about the sheltered use of the tent., In extreme climate alarm posted by the National Weather Service like dark clouds, lightning strikes inside one mile, hail, high winds, earth movement of any kind, (i.e. tremor, avalanche, and so on). In fact, if any of the tying down devices move, please evacuate to safety. When the crisis has ended, for different conditions (i.e., strong rain, high winds, and lighting). You might need to fix the tent which, thus, influences the tent’s stability. Make sure that the tent seems in place, take a quick look at it. If the tent suffered damage by the extreme weather, such as stakes that pulled off, tent weights moved, or any loose ropes or straps, it may not be in good condition anymore. If safety problems occur, call off the event.